Factory Cat sweepers and floor scrubbers are built by the R.P.S. Corporation incorporated in Wisconsin since 1986. Factory Cat manufactures battery floor scrubbers, battery floor sweepers and battery sweeper / scrubber combination floor machines for the industrial sector. Its focus has been in the industrial floor cleaning machine business since 1980. 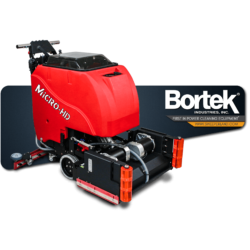 The battery powered floor scrubber and floor sweeper models they manufacture fit a niche in the industrial cleaning equipment industry that they helped make popular: battery powered, high-performance, compact floor sweepers and floor scrubbers for every setting. These are the machines to get if you’re looking for hardy, powerful, and compact cleaning machines. When it comes to scrubbers, you’re going to want the stainless steel, American-made parts that Factory Cat prides itself in. These babies are built to last. Do you need maintenance for your Factory Cat cleaning machines? 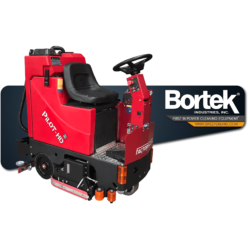 Look no further than Bortek Industries. For over 50 years, our service technicians have been helping the cleaning industry keep their machines running at peak performance. From large industrial ride-on sweepers to small, walk-behind scrubbers, we can service them all. Not only do we offer expert Factory Cat maintenance but we also service Advance, Night-Hawk, Clarke, Powerboss and any other manufacture of cleaning machines. No matter what the problem, we have the know-how to fix it. 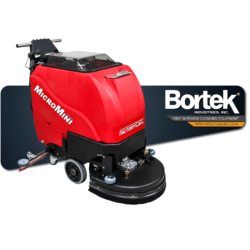 Keep your cleaning equipment at the peak of productivity with the help of our expert mobile service technicians; contact Bortek Industries to schedule maintenance for your Factory Cat today. It’s inevitable. As your cleaning machine is used day in and day out, certain parts will take on some wear and tear and have to be replaced. Instead of going back to the Factory Cat manufacturer, call Bortek! 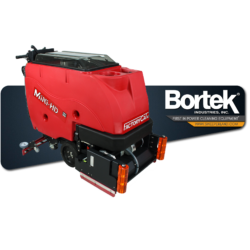 Bortek carries a complete line of replacement parts for your cleaning equipment for all the major brands, including all Factory Cat parts. Looking for a company that offers Factory Cat service? Look no further than Bortek Industries for expert Factory Cat service. We sell and service a complete line of quality Factory Cat sweepers and scrubbers. Manufactured entirely in the US, these sweepers and scrubbers are built for industrial applications and countless years of durability. For quality Factory Cat service, rely on Bortek Industries. Factory Cat sweeper-scrubbers are a beautiful combination of wet and dry cleaning. 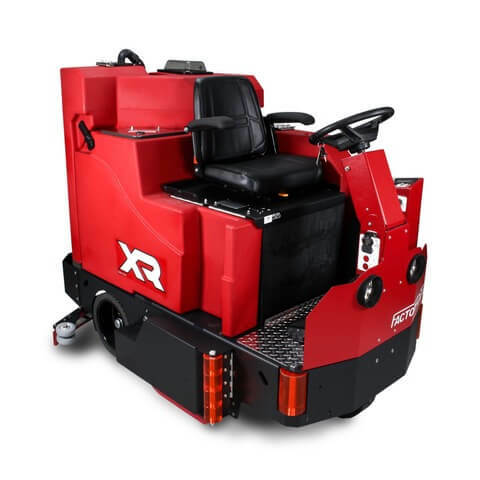 Get the most for your grimy and dirty floors with one the sweeper scrubbers from Factory Cat such as the Factory Cat XR. 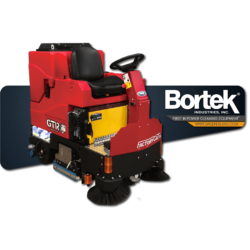 Look to Bortek Industries for the sweeper scrubber you need with Factory Cat and other popular brands. Factory Cat sweepers are built tough to endure all your industrial and municipal cleaning requirements. From small businesses to large corporations, Factory Cat sweepers can be found diligently working to keep your floors in peak condition. 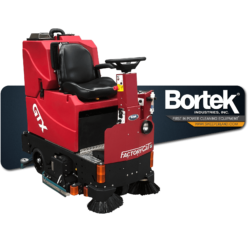 Bortek Industries carries the best Factory Cat sweepers from walk-behind models to compact ride-on sweepers. Cleaning your business is a necessity, but using a mop and bucket is tedious, ineffective, and a major pain. 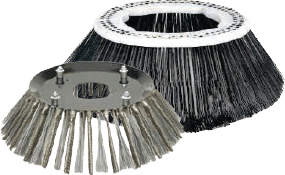 Factory Cat scrubbers are ideal for any business that wants to get the job done fast and easy. 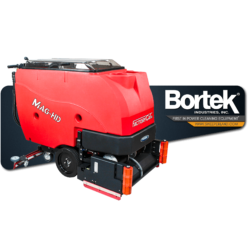 These compact machines maneuver easily around your facility, as well as quickly clean larger surfaces. 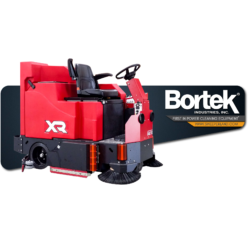 Bortek Industries carries the best models of Factory Cat scrubbers in walk-behind and rider models. 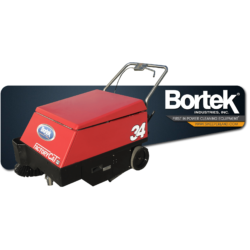 Bortek Industries inventory is constantly changing and growing and we try to keep an extensive list of reconditioned equipment in stock. Our reconditioned Factory Cat Scrubbers give you the quality machine your looking for a price that won’t break the bank. 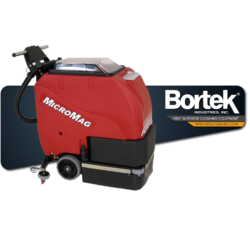 Whether you are in the market for a small walk-behind model or an industrial cleaning beast, Bortek Industries has the perfect solution to your cleaning needs. 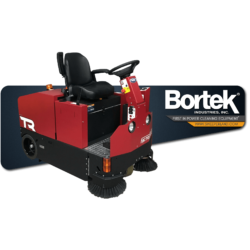 No matter what type of facility, warehouse, or municipality you operate in, Bortek Industries is here to help you keep it clean. Find the machine that best fits your needs and be sure to let us know!